The parish of Farnham Royal includes Farnham Common – and locally they are known as The Farnhams. It is one of the most southerly of all the parishes in South Buckinghamshire. With a population of some 5,000 and roughly rectangular in shape, The Farnhams straddles the A355 from north of Slough to Hedgerley. It is approximately 4km long by 1km. Immediately to the west lies Burnham Beeches – a national nature reserve of ancient woodland, now owned and carefully managed by the City of London but open to all. A few miles north is Beaconsfield with its world-famous film school and Bekonscot model village. Windsor, just south of the M4 motorway, is barely six miles away. The parish is surrounded by open countryside and woodland, much of it Green Belt, which belies its proximity to the busy town of Slough. 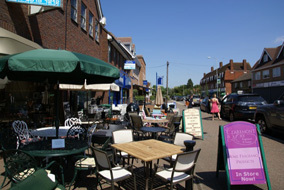 Most commercial activity takes place in Farnham Common with its shops and small supermarkets, offices, restaurants and pubs; a number of large garden centres are nearby. There are well regarded schools in both Farnham Common (Farnham Common Infant and Junior Schools) and Farnham Royal (St Mary’s Farnham Royal Church of England Primary School, Dair House Pre-Preparatory and Caldicott Preparatory School). Sports facilities include the Farnham Common Sports Club, which celebrated its 50th anniversary in 2009. The club runs rugby teams as well as offering facilities for tennis, cricket, hockey and squash. Farnham Park Playing Fields, operated by South Bucks District Council, provides many rugby and football pitches. The Farnham Park Golf Club, also owned and operated by South Bucks District Council, offers a popular and challenging 18-hole course for beginners and amateurs alike; a £2m reconstruction of the club house facilities is currently planned. 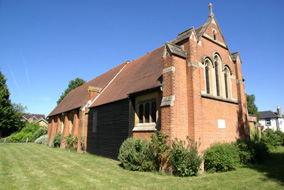 There are churches serving all denominations – two Anglican churches, St Mary’s in Farnham Royal and St John’s in Farnham Common; a Free Methodist chapel, the only original building still standing on the east side of the Broadway, Farnham Common; a Roman Catholic church, St Anthony’s in Farnham Royal and a Community Church. 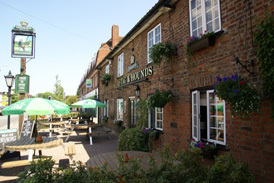 The Farnhams has a number of listed buildings including St Mary’s Church; Mead Farmhouse; The Green Man, Dukes Head and Crown Public Houses; Hillside Cottages; the Farnham Pump; Yew Place and the War Memorial, Farnham Royal which was granted Grade 11 status in 2002. Clubs, societies and voluntary organisations are well supported by all members of the community from youth groups to senior citizens, Rotary and the Lions, the WI and the villages’ own Farnhams Society. Today, the Farnhams can be described as an urban village. In recent years, the proximity of the M4 and M40 motorways, as well as good rail services via the Chiltern Line through Beaconsfield and Gerrards Cross, and the convenience (perhaps doubtful for some people) of nearby Heathrow airport, has attracted more newcomers. Yet woodland and acres of open countryside are never far away. These factors have helped make the Farnhams a popular place in which to live. As a result, the average price of a house in the parish is twice the South Bucks average. But the Farnhams have also escaped the status of a dormitory town. Under 20 per cent of the working population works more than 15 miles away and over 40 per cent work within the parish or within a few miles of travel. Newcomers have been absorbed and take an active part in parish life and the two villages have retained the feel of a self-contained community. 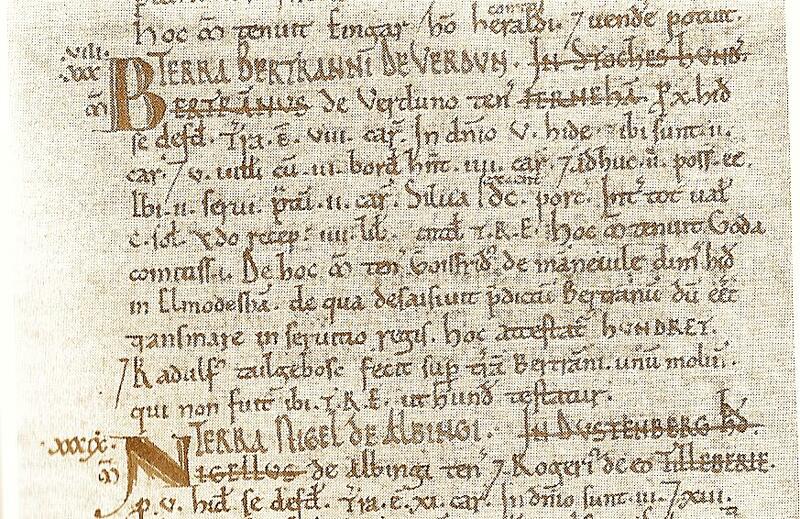 Farnham Royal is mentioned in the Domesday Survey of 1086 as Ferneham (the hamlet among the ferns). Twenty years before Domesday, William the Conqueror granted the manor of Ferneham to a favourite, Bertram de Verdon; at William’s coronation, Bertram was called upon to supply a glove and support the King’s right arm which bore the sceptre and baubles of state, by which tenure of Grand Sergeantry the village became Royal. This duty and honour was passed down to whoever owned the Manor of Farnham until Henry VIII exchanged Worksop for Farnham in 1541. While Farnham Common is relatively new – before the 1830s it was known as Farnham Royal Common or Farnham Heath – and consisted of a few houses and heathland. Farnham Royal was originally so big that it spread down as far as Slough but the introduction of the Great Western Railway in 1838 led to Slough’s rapid expansion. As a result, Farnham Royal land began to be squeezed in favour of Slough’s municipal and business development. This continued well into the mid-twentieth century to such an extent that Farnham Royal’s present boundary is now just south of the twin roundabouts on the A355 and St Mary’s Church – several miles from Slough town centre; this also marks the boundary between Buckinghamshire and Berkshire. Yet, at the same time, Farnham Common began to expand. This was largely as a result of the Enclosures Act which ended the medieval system of farming, and open fields and commons were enclosed. The 1841 Census lists 181 people living in the parish; between 1885 and 1905 the population more than doubled to 500. St Mary’s Church in Farnham Royal dates back to the 12th century with the last major changes made during the Victorian era. It is presently the subject of a restoration project. Farnham Common had no church until 1907 when St John’s opened on the site of the Mission Room. The Methodist Chapel, the only original building still standing on the east side of the Broadway, was built in 1868 and was originally marked as a Wesleyan Chapel. In the years that followed, more incomers boosted the Farnham Common population so that it mushroomed, with new houses, an early cinema (now Tesco), a bank (now closed), a post office, and new shops. Meanwhile, instead of being at the centre of the parish, Farnham Royal found itself at the southern extremity. The centre of gravity of the parish moved north to the now expanding community growing up on the old common. Boundary changes and the continuing northward drift of Slough’s houses and shops on the A355, as well as the construction after the second world war on Farnham Fields of the Britwell Estate, built to house Londoners made homeless by German air raids, began to make serious inroads into Farnham Royal. It lost its baker’s shop but kept a village shop and retained three pubs until the Farnham Pump closed in 2008.The distinctive Village Pump, with its conical roof and weathered tiles, which provided water for the village for over 150 years was once the central feature of the village but was removed to make way for mini roundabouts on the A355. However it was returned and relocated to its present site on the village green. 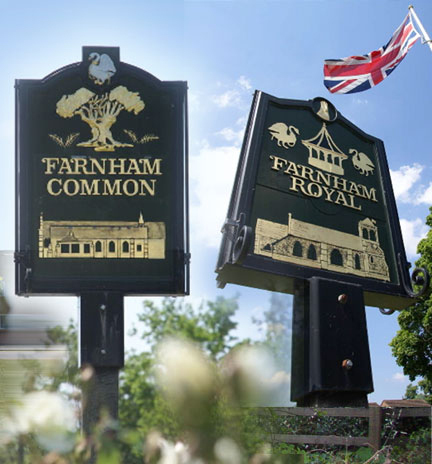 The two village signs, designed by local artist, Ron Whiting, and made by local sign-writer, Ashley Bishop, were funded by local residents to mark the millennium and erected on the greens at Farnham Common and Farnham Royal during 2000. The Farnham Royal sign shows the glove, as a symbol of its royal connection, the parish church of St Mary the Virgin which dates back to mid 1230 and the village pump, a local landmark. The Farnham Common sign has St John’s Church, consecrated in 1907, and a pollarded beech highlighting the local connection with Burnham Beeches. Both signs carry the Bucks Swan which has been the county emblem since the mid 16th century.